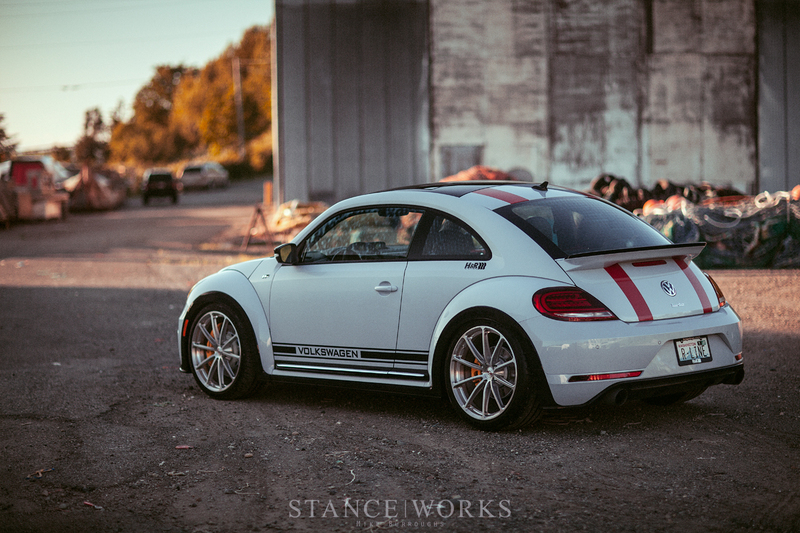 There's a long-running joke - something about how Porsche 911s are just fancy Volkswagen Beetles. I'm sure there are a dozen-and-one variants, and truth be told, I've probably said them all in passing. There's no denying there are vast differences between the two, especially now in 2017; on the other hand, however, there's no denying just how similar they are, especially decades ago. 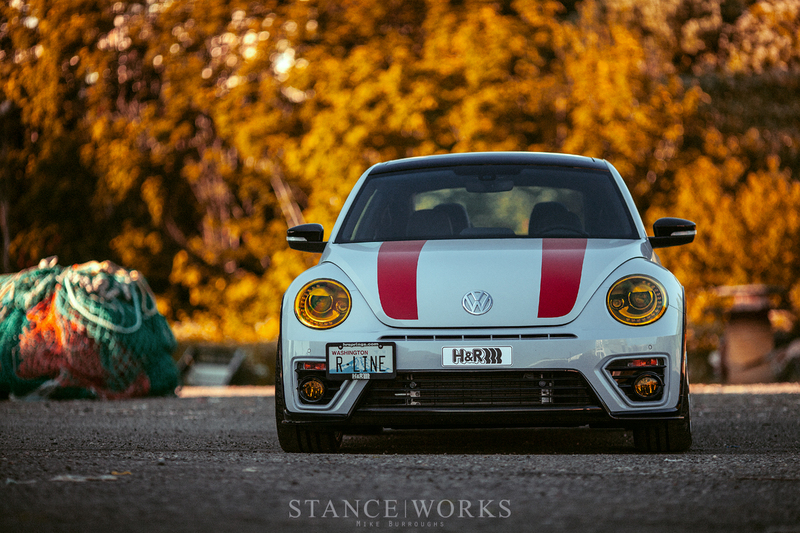 Today, there's little linking the two aside from their parent company, but our friends at H&R Springs decided to explore a few "what ifs," giving us a 911 R-inspired Beetle that brings the cars' lineage full circle, right back to where it all began. 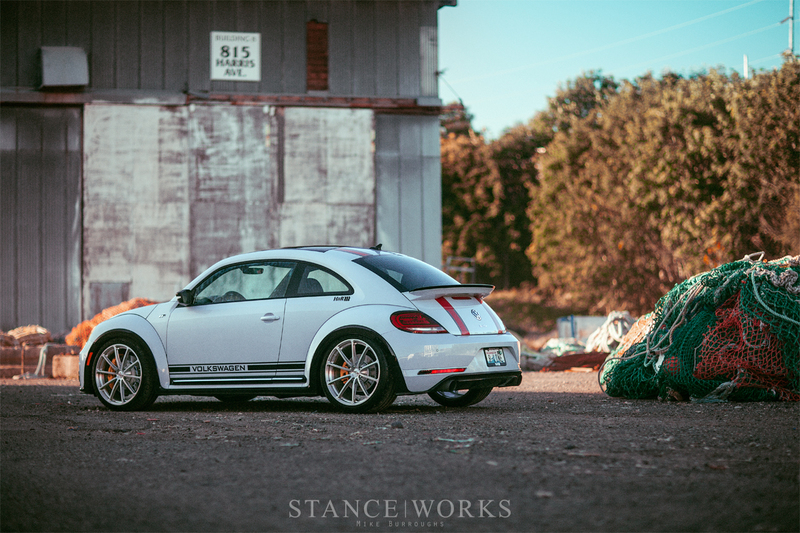 The predecessor to the 911, the 356, is remarkably similar to the original Volkswagen Beetle, and that's no mere coincidence. 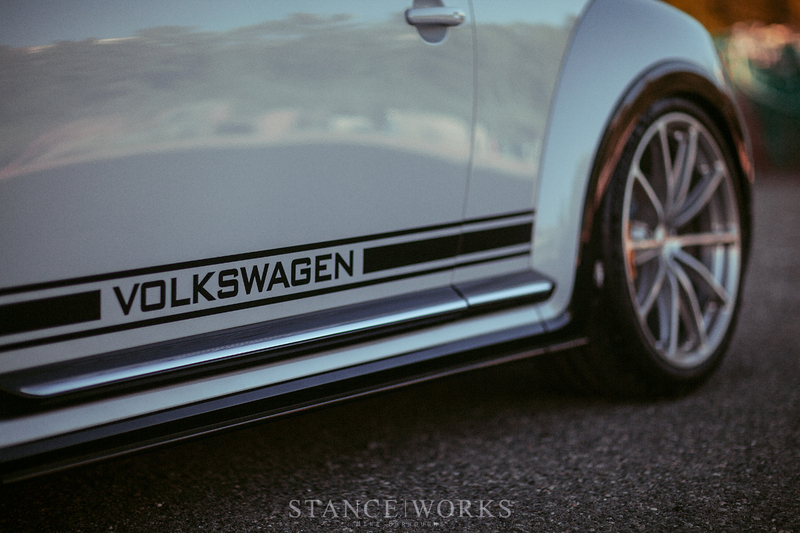 Both cars were designed by Ferdinand Porsche, and thus their similarities go beyond being merely skin-deep. 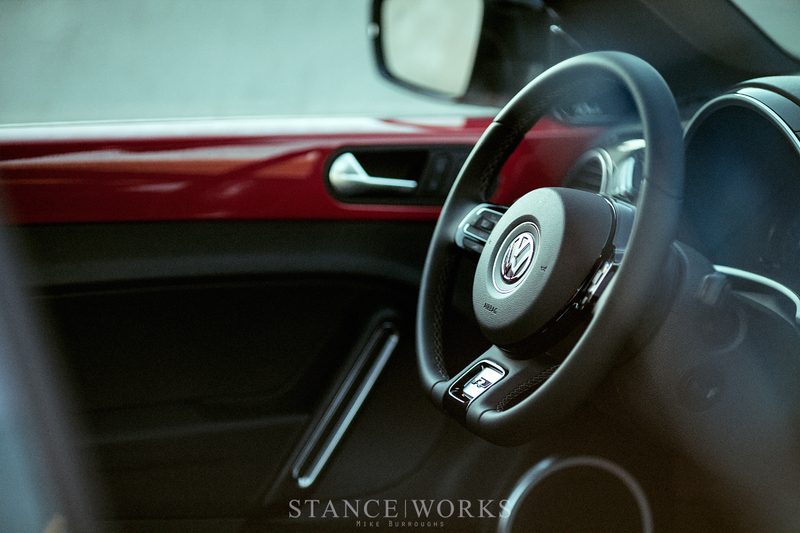 When the 911 was introduced, a departure began, and as the decades have passed, the two machines have found themselves at two completely different ends of the automotive spectrum, but with one very important factor for each. 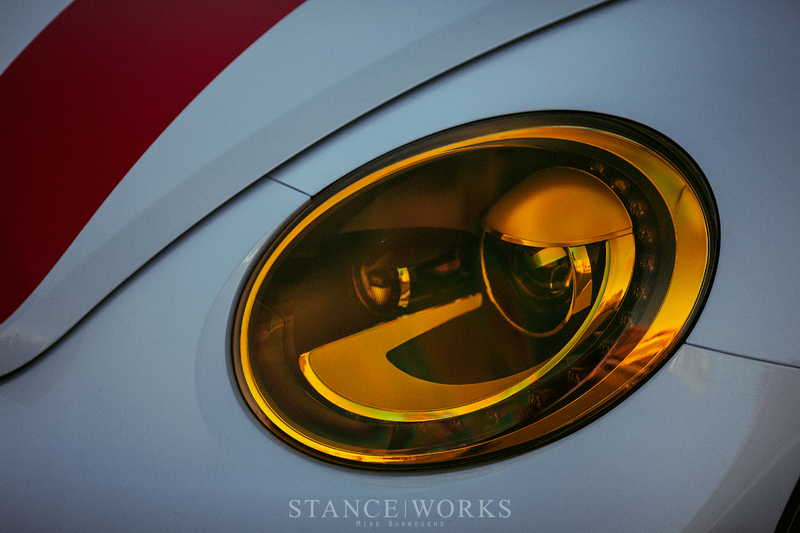 Both the Beetle and the 911 hold their heritage in high reverence, and thus their shapes both stem directly from their predecessors. 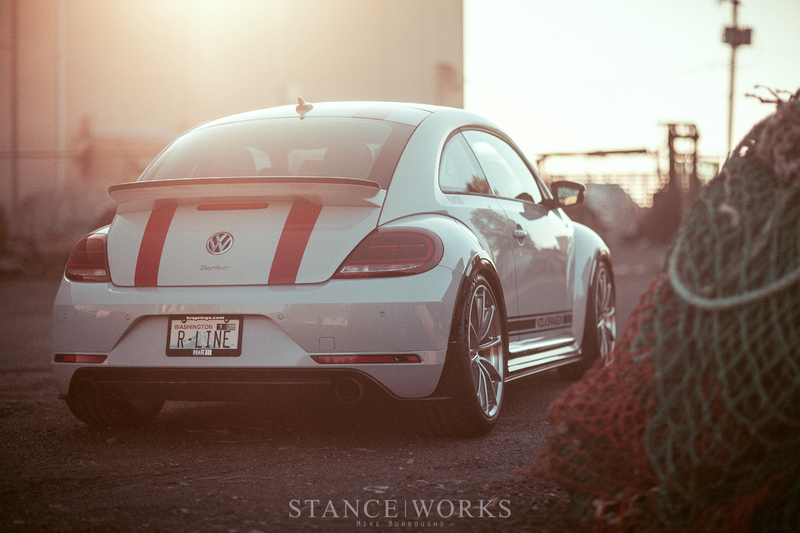 Because of that, the 911 and Beetle of today may not look similar, but they do look related. If you'd happened to price a new 911R though, chances are your bank account shivered in response. Second-hand, they're fetching around a half-million dollars, meaning most of us can't even afford to dream of such a car. And that's where H&R's sense of humor and enthusiasm stepped in. 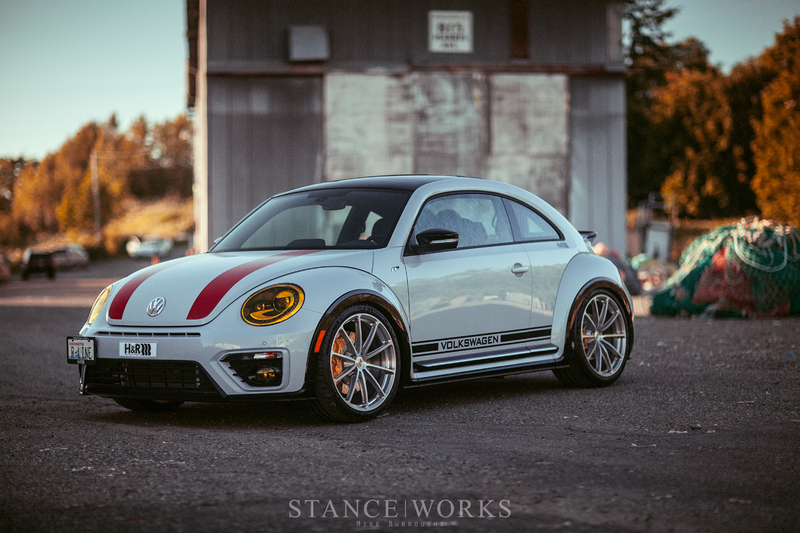 Introducing: The Beetle R.
There's no hiding it - the team at H&R has done their best to dress the Beetle R-Line up to resemble the 911 R as close as possible, and perhaps they've even fooled the car itself. With the turbocharged 2.0-liter GTI motor under the hood (at dare I say, the wrong end? ), it's certainly no slouch, and with 911 R-inspired stripes and graphics, it looks the part too. 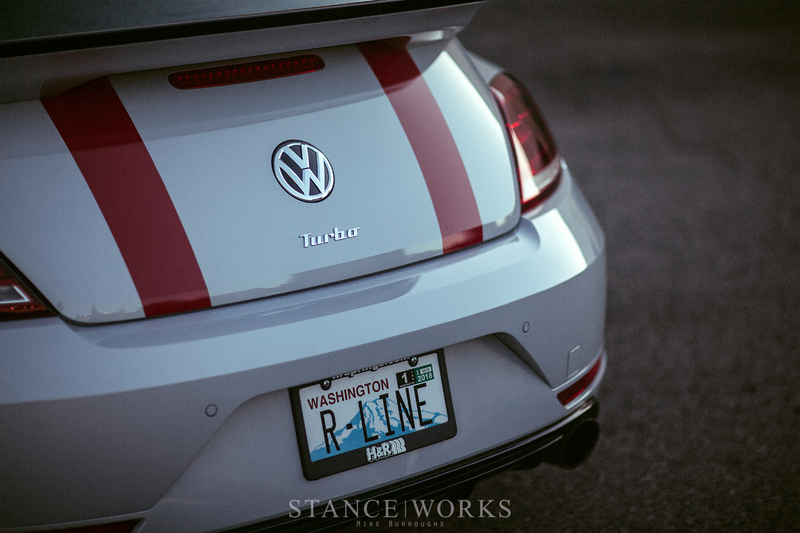 For the Beetle R though, it's not just about aesthetics. 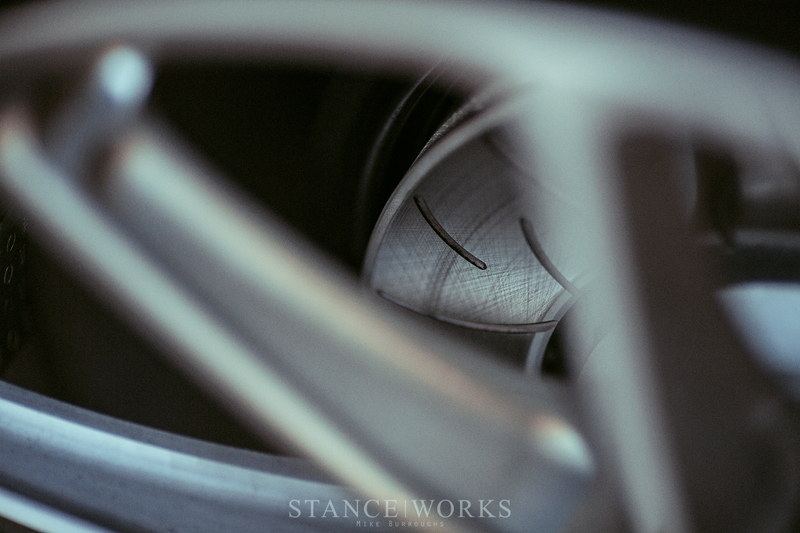 There's a lot lurking underneath that will help this car hang with 911s as they take to the turns. 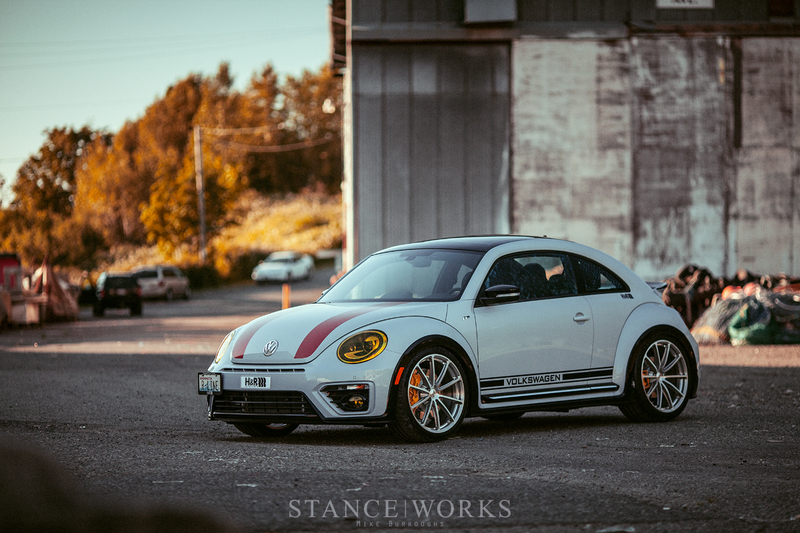 H&R RSS coilovers and H&R sway bars have the Beetle sitting much closer to the pavement, and its handling characteristics offer a serious departure from its stock counterparts. 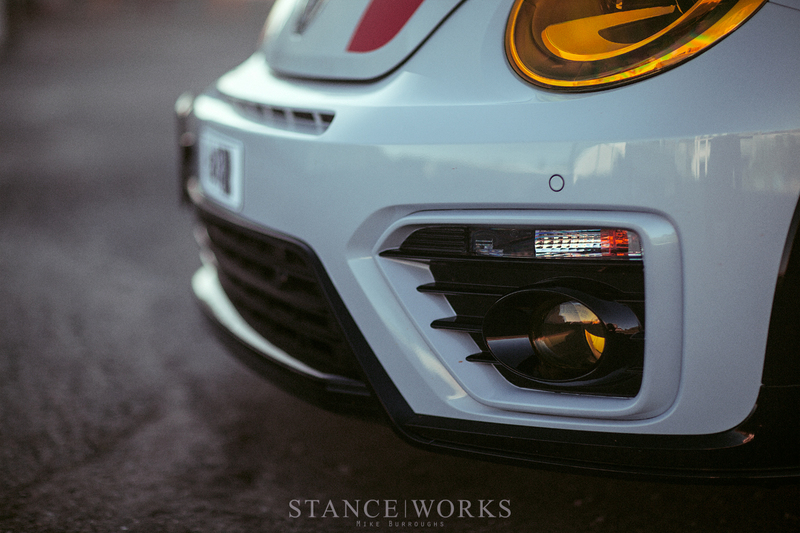 With less body roll, stiffer springs, and fine-tuned dampers, it hugs the road more like its expensive cousin than it does its own siblings. 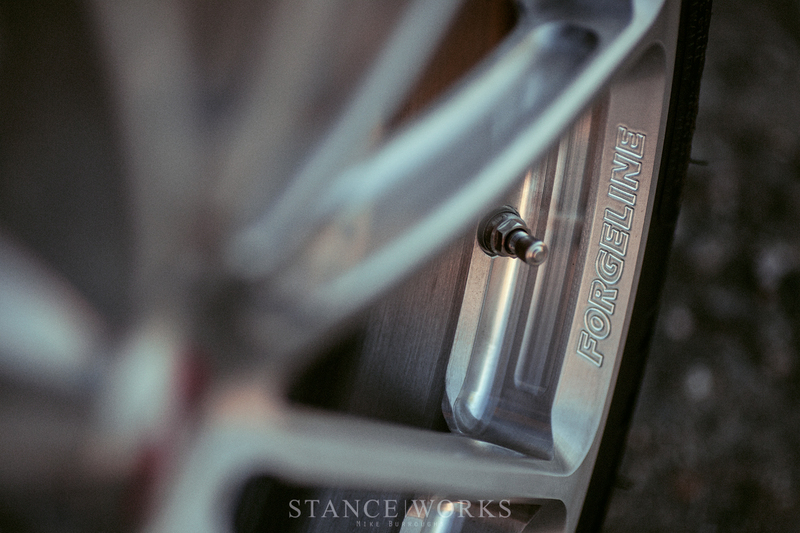 Measuring out to 245/35/20 in the front and 265/35/20 in the rear, Michelin Pilot Sport Cup 2s give the car the stick it needs, and of course wraps a set of full-forged Forgeline GT1-5 monoblocks, which play perfectly off of the 911's offerings and traditional styles. 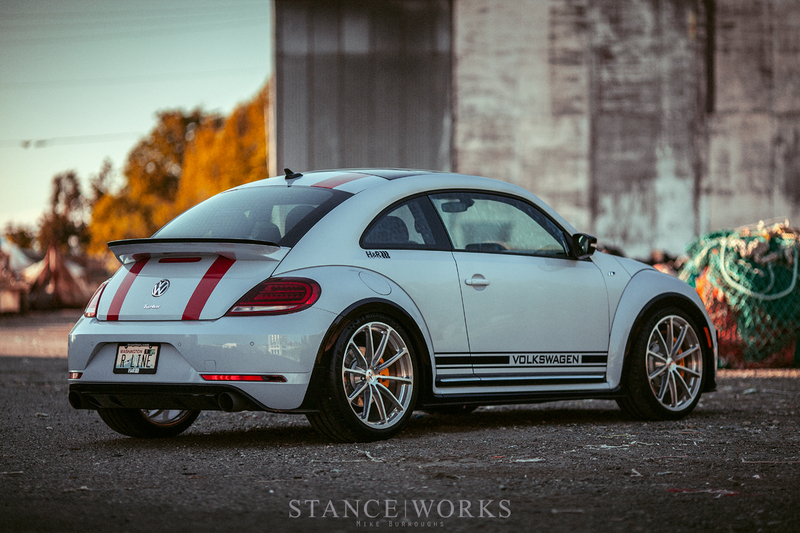 They also save unsprung weight over the stock rollers, and offer some much-needed width to fill the Beetle's arches. 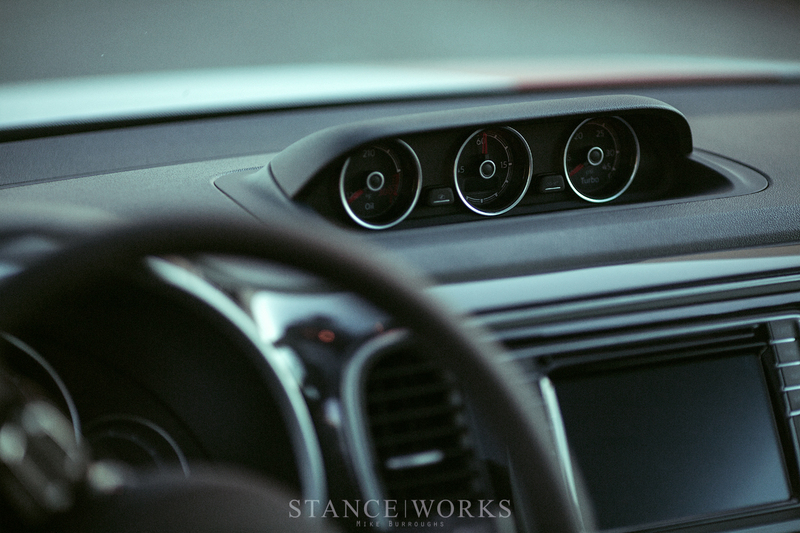 Even the center caps nod to the project at hand. 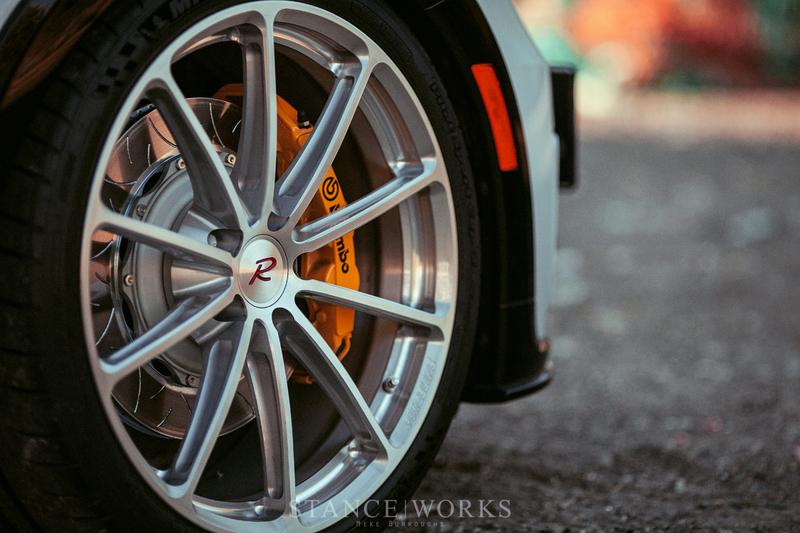 Hiding not-so-well behind the thin spokes of the wheels is an enormous Brembo GT brake system, which laugh in the face of the calipers the car was originally fitted with. So it's around 160 horsepower shy of a 911, but it's got the goods underneath to at least play along... and the exterior plays along too. Aside from loosely resembling the 911 in shape, the red stripes are pulled directly from the 911 R promo materials. The side script is reminiscent of the 911 as well, and lastly, the yellow lighting is a great touch. 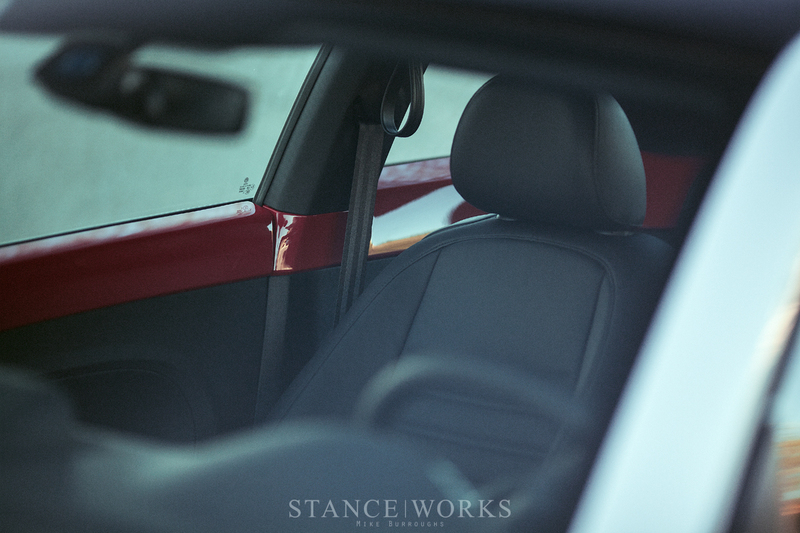 Harking back to the whale tails of yesteryear, the GSR spoiler completes the Porsche-inspired look. 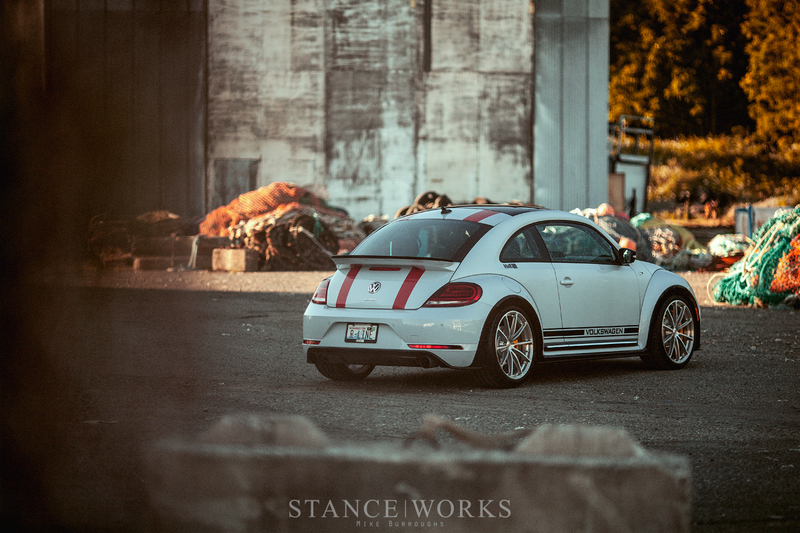 In the end, it's still a Beetle... but it's perhaps one of my favorite new Beetles yet. It may be because it simply looks great, or it may be because it appeals so well to my humor. Maybe it's both. I'll let you decide.